The new home of the Shakespeare Theatre, Harman Center for the Arts, is a beautifully modern building. With floor-to-ceiling glass on both the 2nd and 3rd floor lobbies, there is a great view of the city below. If hosting an event, you could have dinner on one floor with dancing on another. There is a bar situated in the middle of the 2nd floor lobby. I wasn’t able to find other photos on-line of actual events so here are the ones are took while I was there to see the Washington Ballet. We hope to tour the facility soon and give you more details! 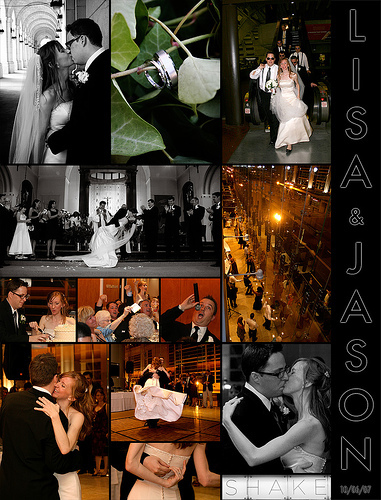 I did also find this collage from Lara Swanson of A Softer Image Photography. Sewall-Belmont House & Museum:144 Constitution Ave, NE; former home of the National Woman’s Party and of Alice Paul. Benefits: historical home; within reasonable walking distance from Metro rail lines; tent is included in rental; a small garden next to tent; reasonable rental fee; docents available to give tours to the guests. Challenges: configuring for ceremony, cocktail hour and reception all at this location. Best for <100 guests. Need valet parking service or provide transportation for guests.